You can Access topShelf on Any Device Using Any Internet Browser! | Scout Inc.
You can Access topShelf on Any Device Using Any Internet Browser! 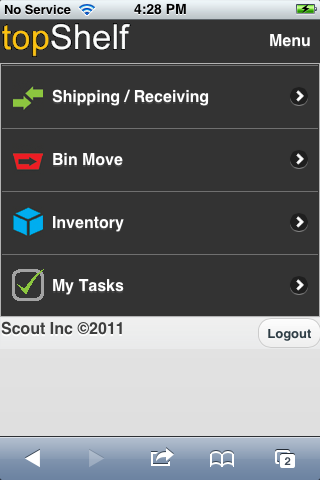 Scout likes to release a new feature every quarter and in the first quarter of 2012 we released our biggest update yet with our developers drastically improved the appearance of topShelf on mobile platforms. In the past Scout had a separate topShelf instance based on the device you were using. That is no longer the case as topShelf now a uniform appearance no matter the browser or the device you utilize topShelf on. – Improved customer portal site. More updates are sure to come in the weeks and months ahead. If you have any questions about topShelf please do not hesitate to contact a sales representative at 651-964-3259.